In this section you will find our download products, and our packs and manuals. Physical Solutions products are all about providing practical information, examples, tests and exercise options. “Real world” solutions that can be applied by the athlete, trainer or practitioner. For more information on specific products please click the links below. Now in its 3RD EDITION RELEASE and containing new exercise pathways and performance/corrective options. The Functional Resource is a “stand alone” downloadable product. For the user it provides a fully illustrated in-depth educational collection. It is designed with easy to navigate sections for quick reference and printing during a consultation or workout…. A practically designed and fully illustrated exercise resource for health, fitness, coaching and teaching professionals. Structured with session planning to assist the long term athletic development of young golfers, but equally relevant in its content to older golfers. 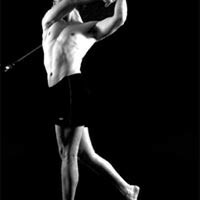 Including range activities that target both foundation golf physical criteria as well as technical-physical crossover exercises.